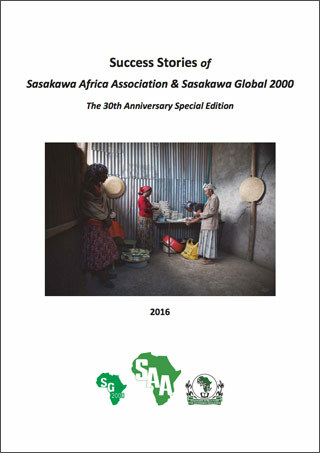 The Sasakawa Global 2000 Uganda (SG2000 Uganda) country program started in 1996, with the signing an MOU between SAA and the Government of Uganda, through the Ministry of Agriculture, Animal Industry and Fisheries (MAAIF). The main aim was to transfer improved agricultural technologies to enhance food security and household incomes of smallholder farmers. With funding from the Nippon Foundation of Japan since inception, SG2000 Uganda has operated in 60 districts and reached out to over 700,000 smallholder households and 400 Sub counties, trained over 4,180 extension agents in collaboration with various partners and stakeholders that support agriculture at various levels of the value chain. 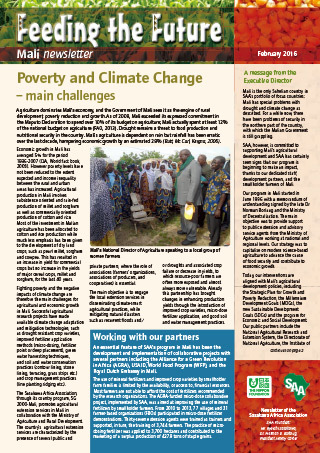 SG2000 operates within the government extension structures and has further strengthened this by establishing Community Based Facilitators (CBFs), who are selected from farming communities and trained to complement delivery of extension and advisory services to smallholder farmers (SHFs). The SG2000 Uganda program is managed together with the production sector under the district local governments in the program areas, where SG2000 together with the districts designate an SG2000 district coordinator who oversees the extension agents. Other partners include agro-input companies, off takers, financial institutions, Ministry of Trade Industry and Cooperatives, FBOs and Media houses. SG2000-Uganda has been under the leadership of Dr. Michael Foster from 1996 to 2007, who was succeeded by Mr. Emmanuel Kayaayo as interim director in 2008; and subsequently, Dr. Sarah Osiya and Dr. Roselline Nyamutale as Country Directors in 2010 and 2011, respectively. The program is currently implemented within 20 districts as follows: Nippon Foundation (NF) core project districts include: Oyam, Lira, Gulu in the North; Jinja, Palisa, Budaka, Tororo, Kamuli, Bugiri, Iganga in the East; Mityana, Nakaseke and Mukono in Central and Ntungamo in the West; the Farmer Based Organisation (FBO) project also funded by NF focusing on establishing economically viable FBOs continues in the 8 districts namely: Palisa, Budaka, Tororo, Jinja, Kamuli, Bugiri, Iganga, Lira and Kamwenge; Under the IFAD/Ministry of Agriculture, Animal Industry and Fisheries (MAAIF) Vegetable oil Development Project2 (VODP2), project districts include Jinja, Kamuli, and Iganga, while the Growth for Uganda (G4U) project funded by K+S GmbH Germany continues in Dokolo and Apac Districts in the North. The Japan Overseas Cooperation Volunteers are currently promoting rice value chain in Namutumba, Buikwe, Mukono, Luwero, and Mityana districts. Followings are some of the achievements for the past 20 years. Contributed to evolution of the Plan for Modernization of Agriculture (PMA) and subsequent formation of the National Agricultural Advisory Services (NAADS). Spearheaded formation of Africa Forum for Agricultural Advisory Services (AFAAS) and the Uganda chapter Uganda Forum for Agricultural Advisory Services (UFAAS). 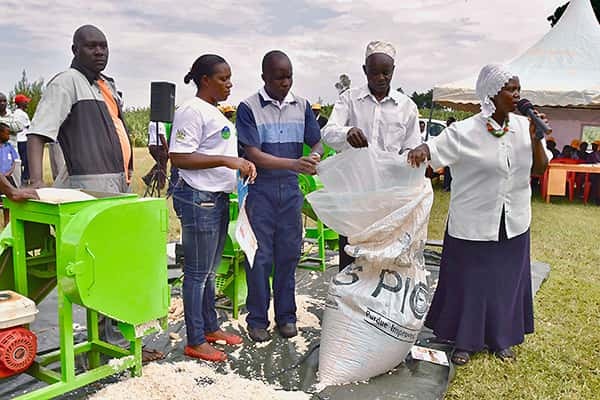 Spearheaded the NERICA (Upland rice) Revolution in Uganda in partnership with WARDA, CIMMYT, JICA, NARO NASECO and JICA that reduced imported rice by $20m and is providing income to over 450,000 farmers. Took lead in establishment of community seed multiplication systems. Under Sasakawa Africa Fund for Extension Education (SAFE), over 176 mid-career extension agents have graduated from Makerere University. Initiated the mobile farmer training /learning & soil testing lab in partnership with K+S GmbH-Germany. It is against all the background and achievements that SG2000 Uganda received national and international recognition awards . SG2000 has twice an award from CIMMYT for being one of the best disseminators of drought tolerant maize in East Africa, and twice the Visionaries award from the Government of Uganda, an affirmation of the contribution and relevancy of her programs and alignment with the government’s focus that aims at attaining a middle income status by 2040. 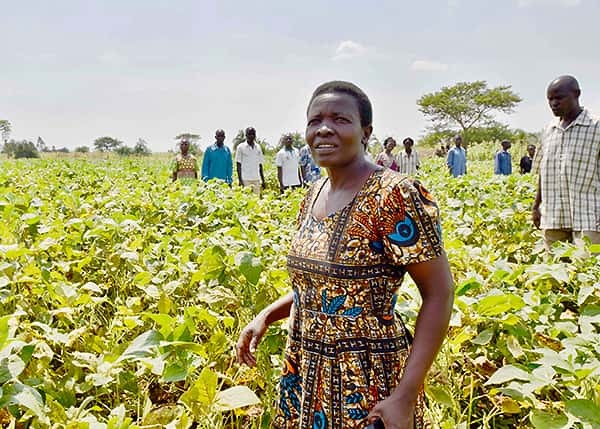 THE ONE STOP CENTRE CONCEPT: In its endeavor to empower farmers and establish sustainable value chains for the selected enterprises within rural communities, in 2001, SG2000 Uganda initiated the One Stop Centre Association (OSCA) concept. 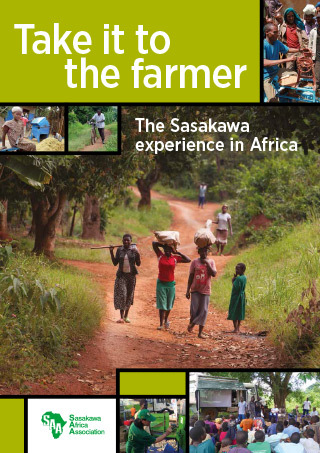 The OSCA is a community based farmers’ Organization that is linked to services through a multipurpose infrastructure that aggregates demands for agricultural services to reduce transaction costs, builds entrepreneurial capacity to run services on a commercially viable and sustainable basis, integrates and strengthens institutional arrangements for key services such as inputs delivery, production, agro-processing and produce marketing; bridges the gap between the poor and the rich by bringing services closer to everyone in the community and making them more affordable. To date, 14 centers are in place. 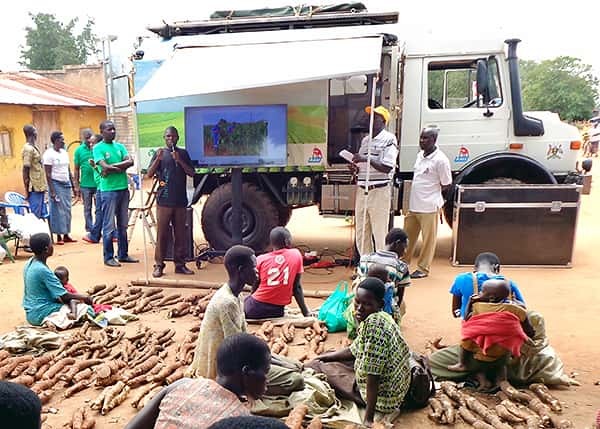 K+S KALI GmbH and SG2000 Uganda established a mobile training unit to reach out to smallholder farmers especially in hard-to-reach areas. It comprises of a soil testing laboratory and a training facility for improved crop production technologies, post-harvest processing and storage and product market using especially audio-visual aids.